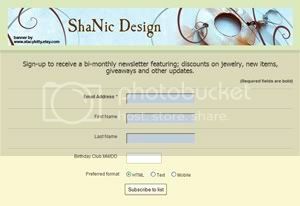 ShaNic Design-Handmade Jewelry: President Barack H. Obama!!!!!!!!!!!!!!!!! This is a historical moment. I am so happy that I was able to share this with my family. Although, going to a party would have been fun too. lol. I went on Etsy last night to celebrate with my Etsy friends. People were so happy, international Etsians were just as happy. You all know there had to be one hater in the crowd to try to spoil everything. I am surprised I didn't get muted. lol. Now it's time for the real work to begin. WE are going to have to move forward as one country to get things done. I am sick of the separation. We can do this. I really believe he will do very well in office. I can't wait to see how it all plays out! I toow as thrilled, it's unfortunate that there are always wet blankets out there that have to bring everyone down. I ran into that myself on another forum. I was thrilled with the outcome, but as with the last election, no matter who was to have won, I would have been supporting to those that voted for the other guy. Nope, not the case with so many 'adults' out there. I'm a bit late with this comment, but I just found your blog. I'm a Georgia girl and I was in tears over here in England when he won. That vibe of goodwill went around the world :-) I love your jewelry.